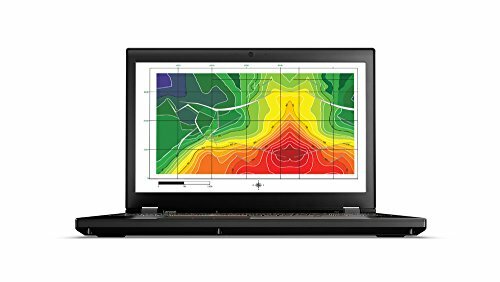 Thin at 0.96" and weighing 5.9 lbs., the 15.6" ThinkPad P51 Mobile Workstation from Lenovo has been designed as a go-to PC for getting jobs done. It is powered by a 2.8 GHz Intel Core i7-7700HQ Quad-Core processor which allows you to run multiple applications simultaneously. If you need more power, the system can be overclocked to 3.8 GHz using Intel Turbo Boost 2.0 technology. The 8GB of 2400 MHz DDR4 RAM helps to ensure smooth multitasking and also allows the computer to quickly access frequently-used files and programs. 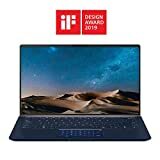 The 15.6" IPS display features a Full HD 1920 x 1080 screen resolution, an anti-glare finish, LED-backlighting, a 16:9 aspect ratio, a contrast ratio of 700:1, a brightness of 250 cd/m2, and viewing angles of 160°. The dedicated NVIDIA Quadro M1200M graphics card has 4GB of discrete GDDR5 RAM and delivers a sharp, clear picture. You'll also be able to output video to an external display at resolutions up to 4096 x 2160 using the system's Mini DisplayPort 1.2a, HDMI 1.4b, and Thunderbolt 3 ports, the latter of which supports DisplayPort 1.2. For long-term storage of your files, this ThinkPad P51 is equipped with a 500GB 7200 rpm SATA 2.5" / 7mm hard drive, which offers quick access to your data.